If you don't know yet, Vaseline is a brand known for its famous petroleum jelly that comes in a tub with various sizes. There is a lot of beauty benefits that you can get with petroleum jelly and the best part is it is so inexpensive! You can easily find Vaseline from your local drugstores. Behold, as this is going to be quite a long helpful list! Vaseline can be a very good lip balm replacer as it can do a very good job at moisturizing your lips! I usually just buy a small tub of this and put it in my handbag so that I can moisturize my lips whenever I want, after eating or drinking. It also can act as an overnight treatment for your lips. Just slather this all over your lips and go to sleep! You're gonna wake up with the most supple and soft lips ever. Surprisingly, Vaseline can also do wonders as a lip scrub. What you have to do is just add about half a teaspoon of Vaseline with equal parts of regular sugar, preferably brown sugar. And just scrub away those flaky, died skin cells from your lips, and rinse it off. Your lips are going to be chapped free and super smooth! Plus, it makes lipstick application easier and more beautiful as your lips are now just like a perfect, clean canvas for your lipsticks. Dab on some Vaseline over your matte lipstick to act as a lip gloss! It will give you that healthy glossy look without changing the color of your lipstick. If you have a pair of messy eyebrows, simply tame them by applying some Vaseline using a spooly brush or your finger. This makes your eyebrows stays in place all day. Talking about an eyebrow gel that cost only a dime. I always apply some petroleum jelly all over my feet before bed, especially on the heels and this keeps them hydrated and supple the next day. Say byebye to cracked heels! Keep your cuticles soft and moisturized by rubbing some Vaseline all over your cuticles and your hands. This will make your cuticles looks nice and healthy. 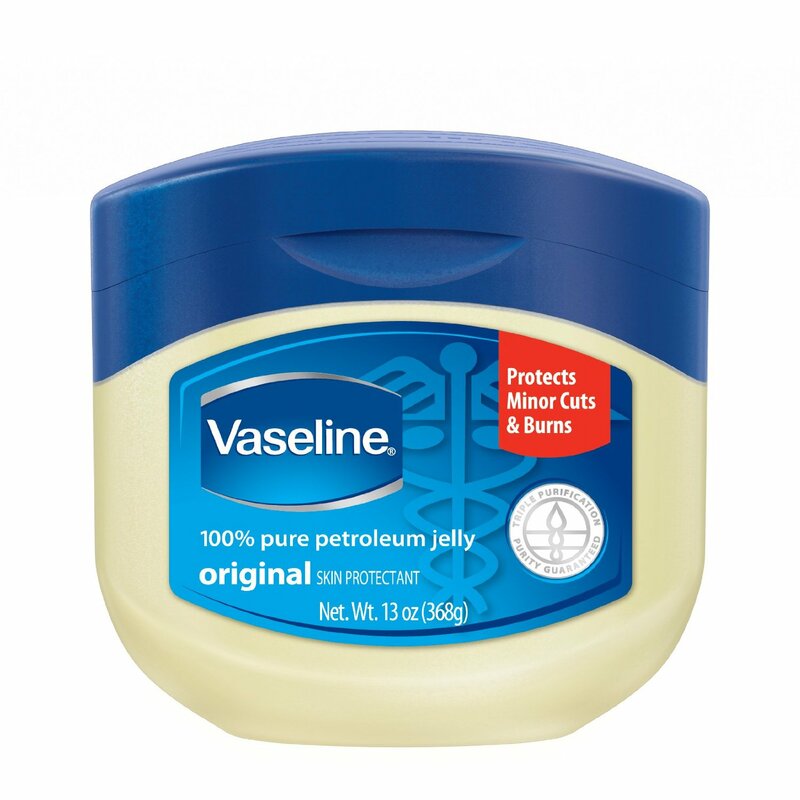 You can actually use Vaseline on any dry patches of your skin, like your elbows and knees. Just rub it into your skin before bed or after shower. If you're someone like me, applying nail polish can be a struggle sometimes. Save your time from cleaning the area of your fingernails afterwards by applying some vaseline all over the skin base of your nails to avoid painting over your skin. Easy! If you want to go for that clean sleek high ponytail look, just rub some vaseline on your hair to keep those flieaways down. You can do this trick for your baby hair too, especially if you're an asian woman with a lot of baby hair. They can get annoying sometimes. You can also use Vaseline as a spot corrector for your eyeliner, eyeshadows, lipsticks, you name it. Just take a q-tip, put a little Vaseline on it and just swipe away your mistake. This really works, just dab on some Vaseline on the areas that you should apply you fragrance on - like on your neck, wrist, behind your ears and the inside of your elbows, and just put your fragrance on top of the Vaseline. This helps your fragrance to last longer. For that healthy and dewy look, simply rub a little bit of Vaseline on your cheekbones as a highlighter. Just make sure not to apply too much as this can clog the pores for some people. You can also use Vaseline as an eyeshadow primer. Just put on some Vaseline, set it with translucent powder and put on your eyeshadows afterwards. This makes the colors of your eyeshadows more pigmented and last a lot longer. Rub some Vaseline over your mosquito bites or on your itchy skin to help soothe and relieve the itchiness. You can actually use Vaseline for a longer, thicker lashes. Just coat some Vaseline on your lashes especially on the roots before going to bed and overtime, it will promote hair growth of your eyelashes. A lot of people swears by this! 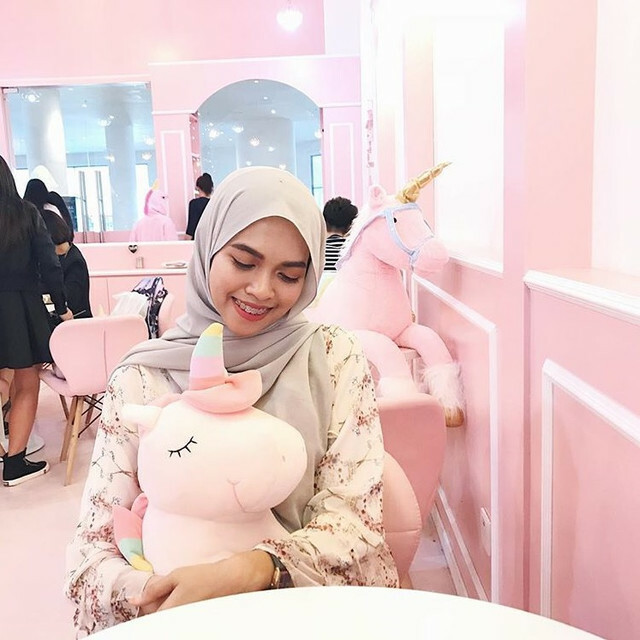 If you have any cracked blusher and you really don't want to throw it away, simply crush the blusher even more into a powder and mix a little bit of Vaseline until you get a cream-blusher-like consistency. And use your fingers to apply it on your cheeks. Don't torture your fingers with that painful struggle of taking your small rings off, just smear some Vaseline onto your finger and the ring will glides off easily.. Remove the glue on your falsies easier by rubbing some Vaseline on your lash glue area and pull it off. Now that you've learned some tips and tricks using Vaseline, go grab your own now!